When some of Facebook CEO Mark Zuckerberg’s social media accounts got hacked late Sunday, a lot of people were surprised by the weak “dadada” password he turned out to be using. But Zuckerberg’s not alone when it comes to using vulnerable passwords. 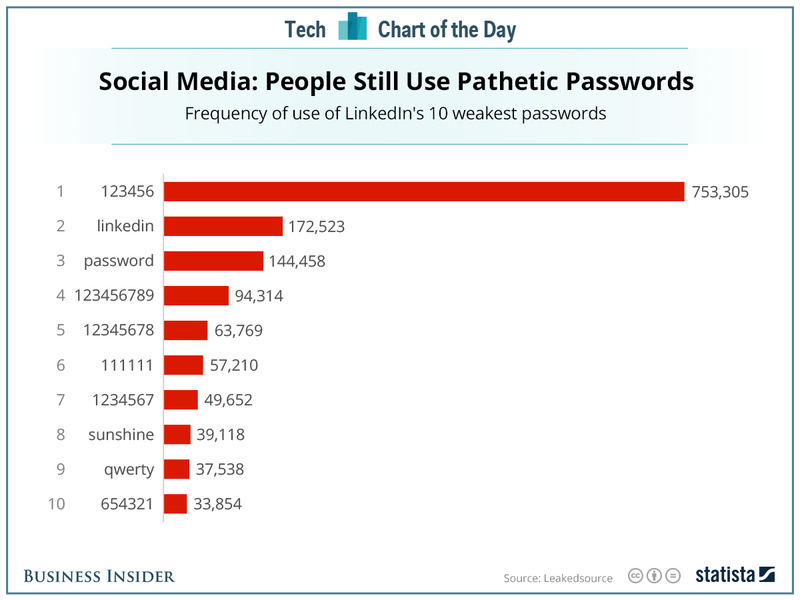 According to data from LeakedSource, charted for us by Statista, more than 750,000 users on LinkedIn have set “123456” as their passwords. 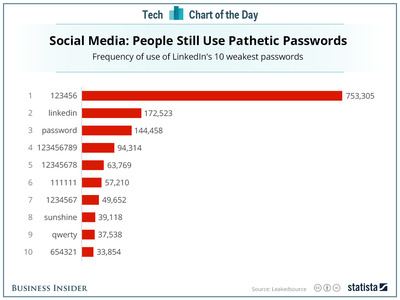 Other weak passwords like “linkedin,” “password,” and “123456789” are also frequently used, according to the site. There are many ways to create a stronger password that will save you from hackers. One way is to use a full sentence, or a password manager app so you won’t have to remember all the different passwords for each account.